Sir M Visvesvaraya (September 15, 1861 - April 12, 1962) was one of India's elite engineers, Sir Mokshagundam Visvesvaraya. From the period 1912 to 1918, he was the Divan of Mysore state. His birthday is celebrated as Engineer's Day. Sir M Visvesvaraya was born on September 15, 1861, in the Brahmin family at Mudenahalli in Chikkaballapur district. Vishweshwarya's father 'Srinivas Shastri', mother Venkatakshmamma. Mokshagundam has joined his name as his ancestors migrated from Mokshagundam in Andhra Pradesh and lived in Mudenahalli. Visvesvaraya's father is a Sanskrit scholar; He was a professor of religion and an Ayurvedic expert. The father died when he was 15 years old. Vishweshwaraiah's primary education in Chikkaballapur and higher education took place in Bangalore. In 1881, he graduated with BA degree from Madras University and subsequently obtained a civil engineering degree from Pune's College of Science. Sir M Visvesvaraya later joined the Public Works Department in Mumbai in 1884. Then came the invitation from the Indian Irrigation Commission. After joining the commission, Sir M Visvesvaraya introduced the best irrigation system in the Deccan Plateau. Sir M Visvesvaraya most impressed by Arthur Cotton. In building the 'Krishnarajasagar Dam' for Cauvery River, Sir M Visvesvaraya influenced by the Chola kings in Tiruchirappalli and was impressed by the huge dam [Grand Anicut], which was completely renovated by Arthur Cotton in the middle of the 18th century. Later Sir MV reported these to the Maharajah. The 'Automatic Flood Gate Design' used in dams has been identified and received 'patents'. For the first time in 1903, these floodgates were founded on the Khadakwasla dam in Pune. After they succeeded, they were also used in 'Tiger Dam of Gwalior' and 'Krishnarajasagar' dam in Karnataka. The purpose of these gates was to store maximum water without damage to the dam. When it was built by Krishnaraja Sagar, it was India's largest dam at that time. Visvesvaraya is famous all over the country when he arranges a flood defense system in Hyderabad to protect the city from flooding. 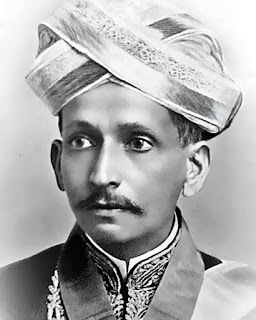 Sir M Visvesvaraya, who declared his self-retirement in 1908, was later served as the Divan of Mysore State. He worked with Maharaja Krishnaraja Wodeyar for the overall development of Mysore state. In 1917, he established Government Engineering College in Bangalore. This college was later named after him (Visvesvaraya College of Engineering). He also worked for the development of Mysore University. Sir M Visvesvaraya later joined the Department of Public Works in Mumbai in 1884. Then came the invitation from the Indian Irrigation Commission. After joining the commission, Sir M Visvesvaraya introduced the best irrigation system in the Deccan Plateau. appointed as Service Engineer in Bombay, Nasik, and Pune. Design and performance of water supply in the Sukkur municipality of Sindh province. Working as a Susceptive Engineer in Surat. Served as Executive Engineer in Pune. Executive Engineer and Subway Board member in Bombay. Submission of documents to the Indian Agriculture Commission. India is the new language in the irrigation sector by developing automatic dams using a sophisticated method of patenting for the Fifty Lake. introduced a new method of 'block system' in agriculture. The Bombay Government represented the Shimla Agriculture Commission. Operating as a Superintendent Engineer. Visit Egypt, Canada, America, and Russia. Designed as Special Director Engineer of the City of Hyderabad, which was flooded by the Musi river, emphasized the need for a reconstruction of all the engineering fields that were flooded. appointed Chief Engineer and Secretary of Government of Mysore. appointed as Mysore Divan, supervised by Public Works and Railways. Serving as Director on Tata Steel's Board of Directors. Sir M Visvesvaraya was awarded the degree of "Sir" by the British Government when he was a Divan. Sir M Visvesvaraya received the Government of India's the highest civilian honor, the Bharat Ratna. Sir. M. Vishweshwaraiah was the first Kannadigas to receive the Bharat Ratna award. 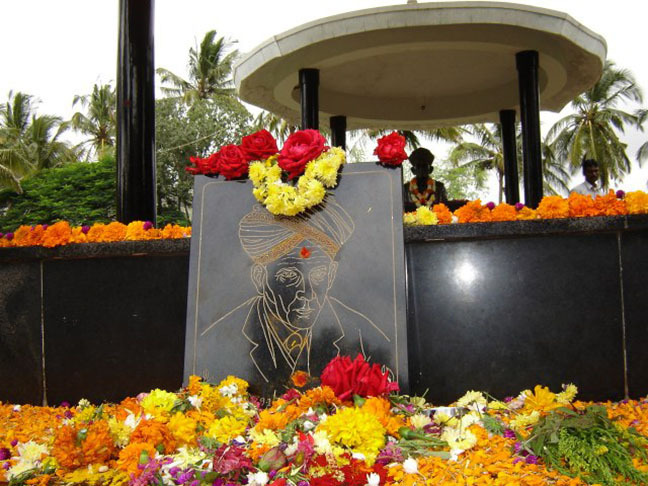 The many school colleges, ITIs, polytechnic and engineering colleges are named after him in Karnataka. Visvesvaraya Technological University in Belgaum is credited with launching the first EDUSAT classes in India. Its main objective is to provide better education to all university students. All engineering colleges in Karnataka are part of the prestigious Visvesvaraya Technological University. His birthday (September 15) is celebrated as Engineer's day every year in India for the sake of commemoration of his immense service in the field of Engineer.